Hello! 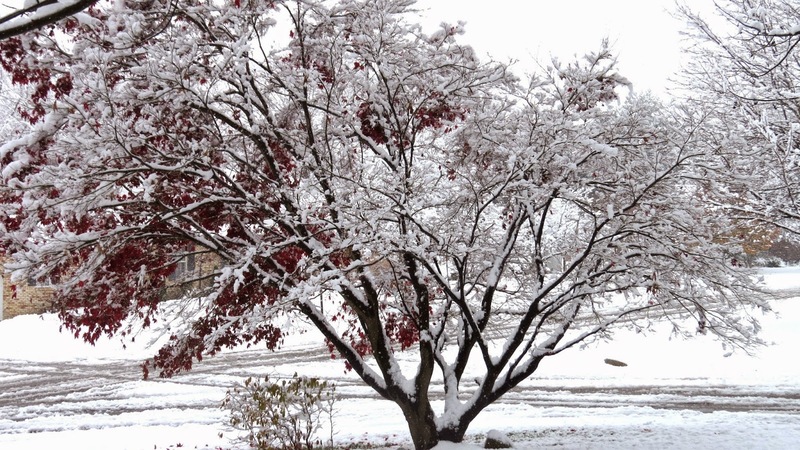 This morning we woke to our first real snow....and it is a beautiful winter scene. Maybe I will post pictures later. 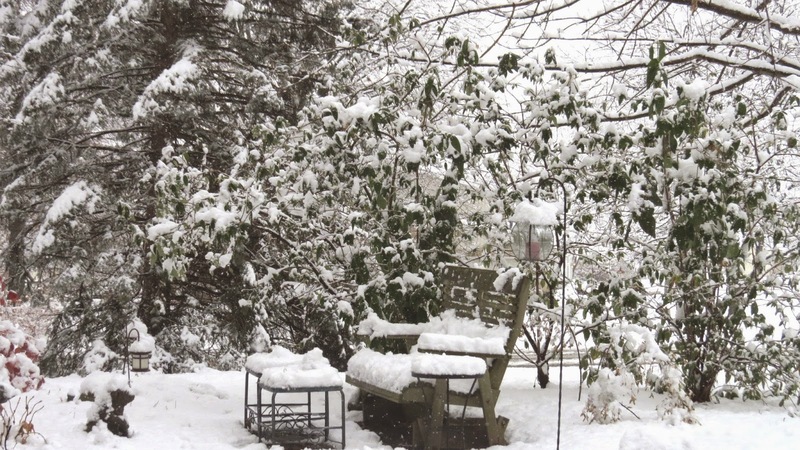 It seems appropriate to post this all white card with snowflakes today. 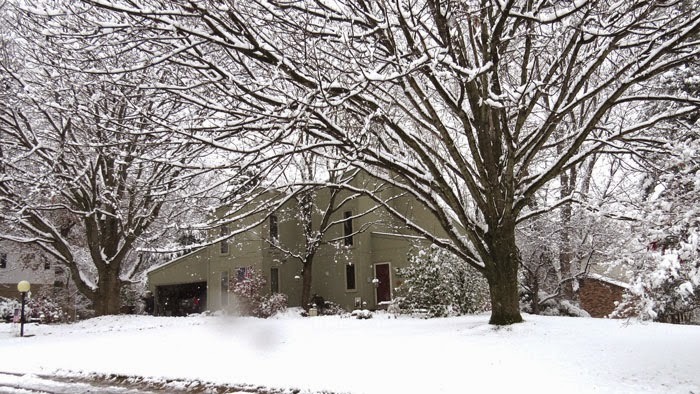 I made this for the challenge at ABC Christmas Challenge. 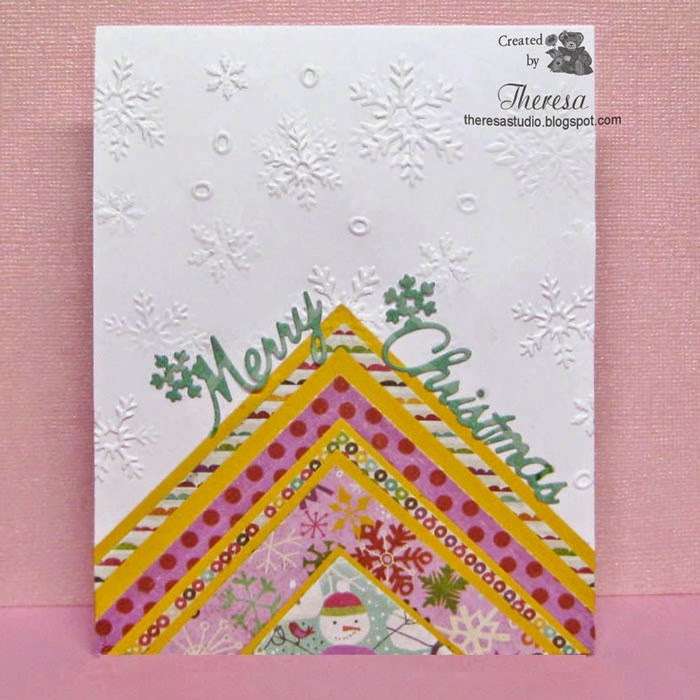 The card base is Oyster Pearl CS topped with a layer of glossy white CS embossed with Darice EF Snowflakes. I used 2 white ribbons... I liked the contrast of the 2....one a shiny satin and the other a white grosgrain. To the ribbons I attached the words Merry Christmas cut with Cheery Lynn Dies that I heat embossed with Versamark and Stampendous white pearl translucent EP. I finished with a sprinkling of pearls over the completed card. 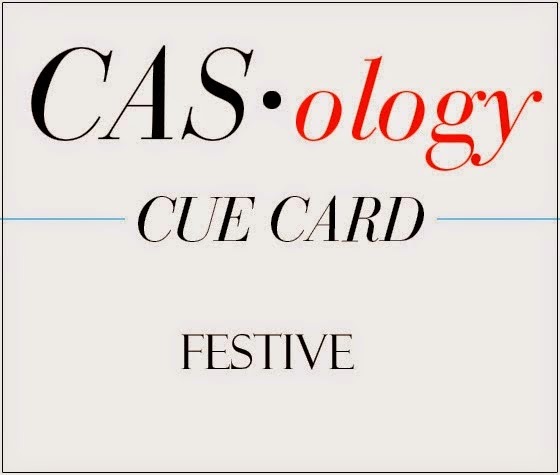 CASology: Cue card is festive. I think my card is a bit festive. Just Add Ink: Just add texture. Hello! 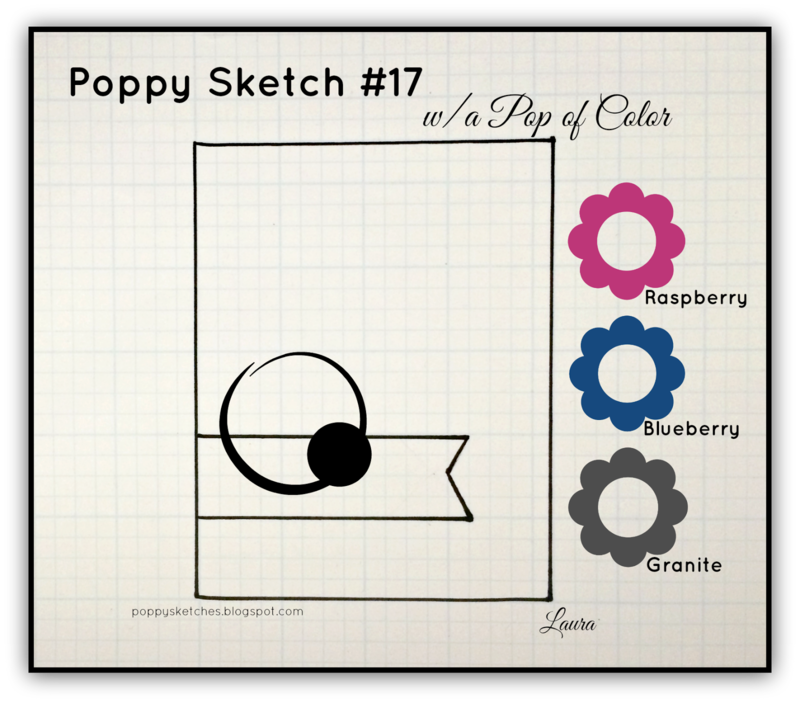 Today I have a card made for the challenge at Poppy Sketches to use pops of Raspberry, Blueberry and Granite. I used a base card of White that I embossed with Cuttlebug EF Stars but to be different I adhered the dark CS cut 4.25" x 5.5" to the inside of the card base so I had an edge of Granite when the card is closed. The dark CS looks more black but is really a dark gray color. I added a strip of Chevron Pattern scrap with a Raspberry flower cut with Nesties Blossom dies and navy brads. 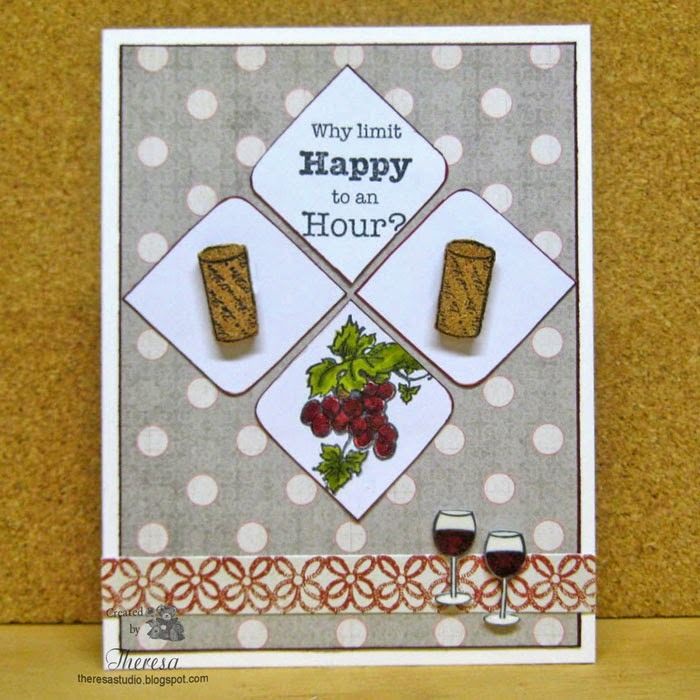 The word Happy was cut with a Cheery Lynn die from Blue CS scrap. 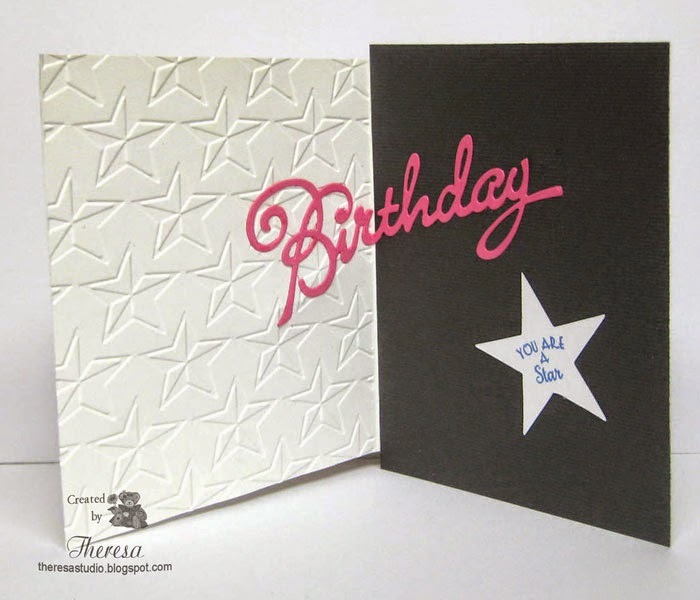 Inside I continued with the word Birthday cut in Raspberry with a Marianne die and added a white star cut with a Sizzix die and stamped with "You are a Star", a Flourishes stamp using Memento Blue Danube ink. Poppy Sketches: #17 Sketch with colors shown below. Sorry this is their last challenge. Simon Wednesday Challenge: Simon says We're Seeing Stars. How about some gingerbread cookies? The Christmas challenge at The Glory of Christmas is biscuits/cookies so I thought I'd used this seldom used Gingerbread stamp from GKD First Christmas set. I stamped the pair of Gingerbread with Versamark on Kraft CS and heat embossed with Ranger Seafoam White EP. 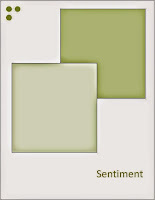 The colors are from the Challenge at Card Concept. 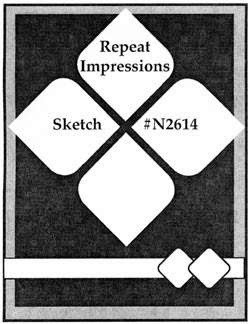 The image was cut with Nesties Circle die and matted on a Red CS. 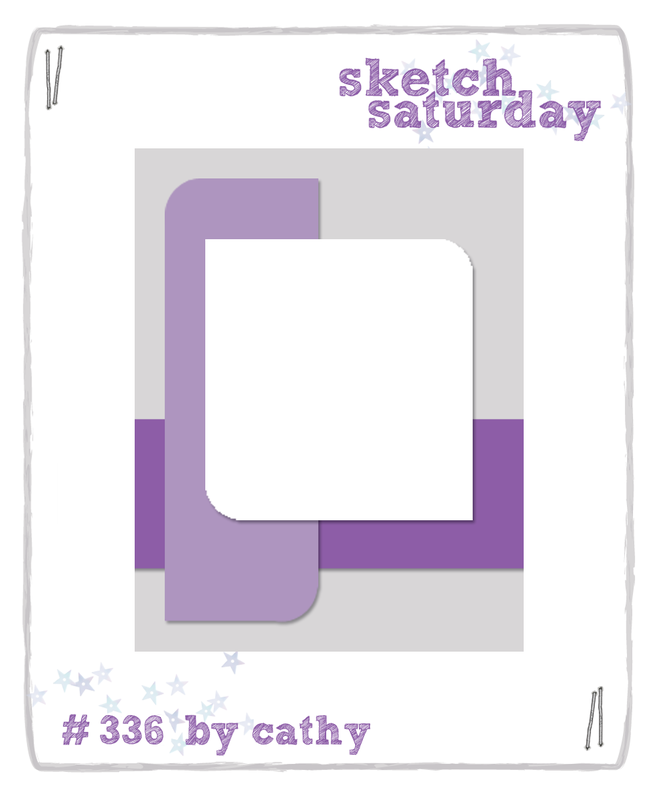 Following the sketch from Sweet Sunday, I assembled my card with Kraft Card Base, Pattern Paper from Crate Paper Snowy Day pad. 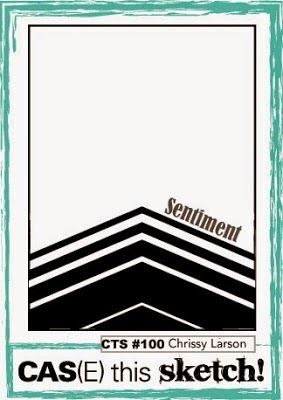 Finished with a sentiment from Creative Vision Holiday Sentiments and a Red Ribbon. Fussy and Fancy Challenge: Pairs or 2 of a kind...used a pair of Gingerbread. I know this may be a stretch for this challenge? Papertake Weekly Challenge: 2 or 4 Legs. My take on this challenge may be a bit different than it was to be. The Card Concept: Challenge #23 - A Krafty Christmas. 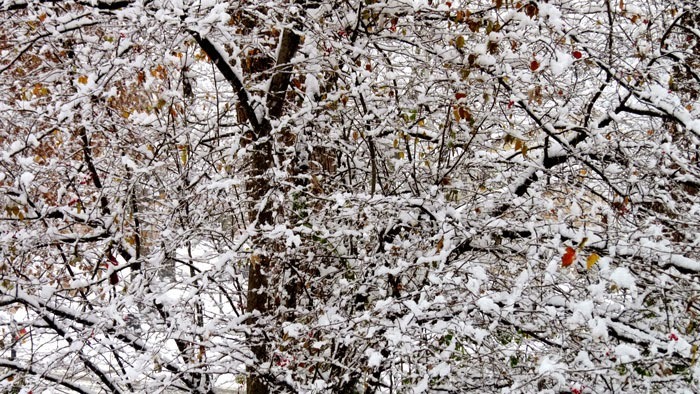 My style would fall into Clean and Layered. 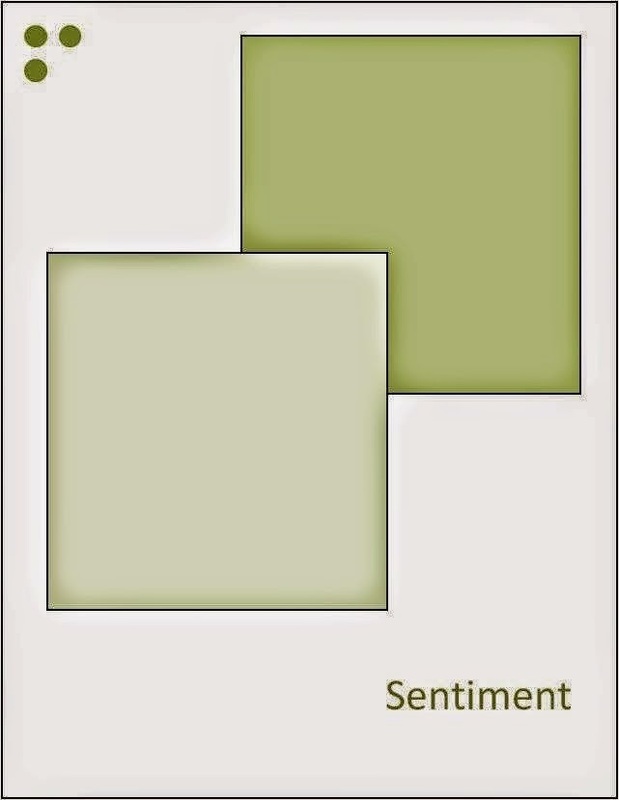 The colors from the graphic on the right are used in my design. 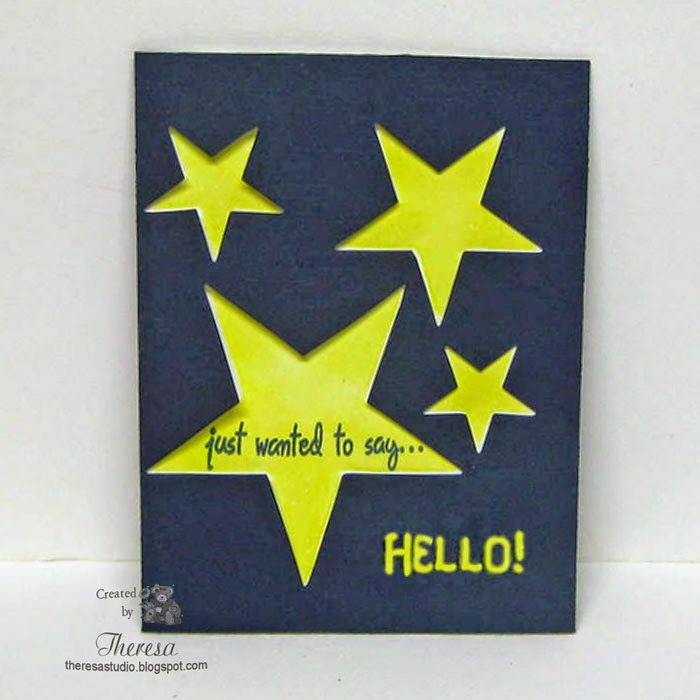 Back today for a quick post for the Less Is More Challenge....to make a one layer card with a focus on Starry, Starry Night. 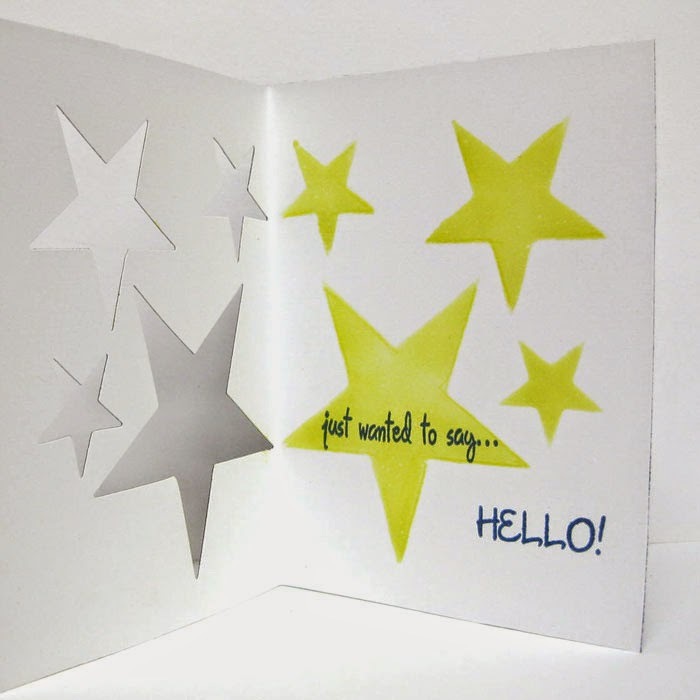 I was trying to think of a scene but decided to cut some stars in a Navy CS backed with white using a Sizzix die. I simply sponged the Stars with DI Squeezed Lemonade using a mask and then stamped sentiments from Creative Vision with Memento Nautical Blue. Shown below is inside of card. Simon Wednesday Challenge: Simon says "We're seeing stars." Hello! I am back with James, my favorite Bear from LOTV who is having trouble carrying his Christmas presents and has dropped one that is tumbling down my card. He was stamped with Memento Rich Cocoa ink on White CS and colored with Copics and White Liquid Pearls on his Santa Cap. I added some shine with Clear-star pen. The falling box is a button from my stash. 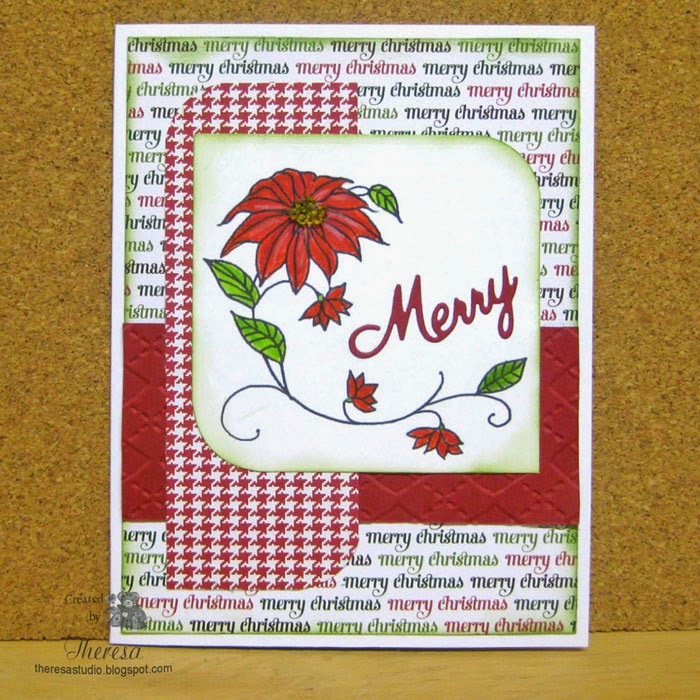 Merry Christmas stamp is from MFP and stamped in Memento Lady Bug ink. Card Base is a Textured Green CS from stash and stripe paper is American Crafts Hollyday pad topped with a Green Satin Ribbon. 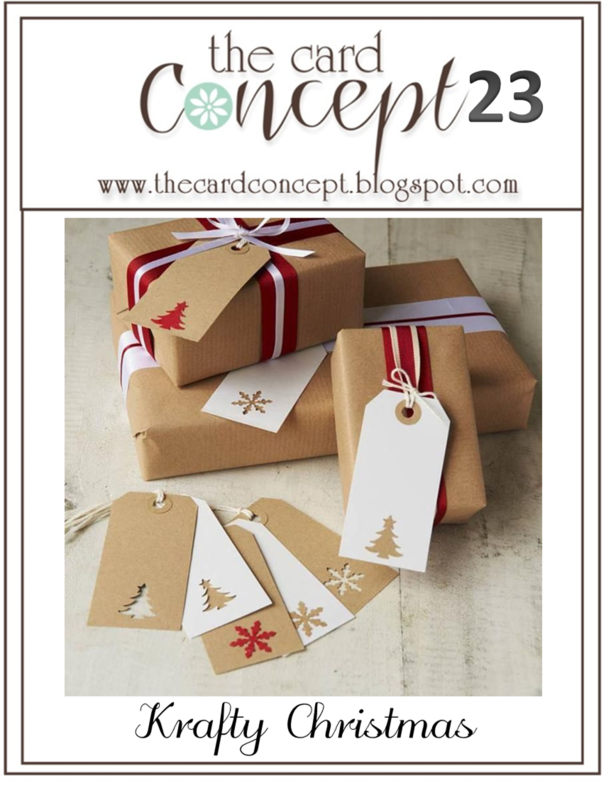 Crafty Catz Challenge: Christmas is Coming! As promised, I am back with another Ornament Christmas card using Blue and Silver. 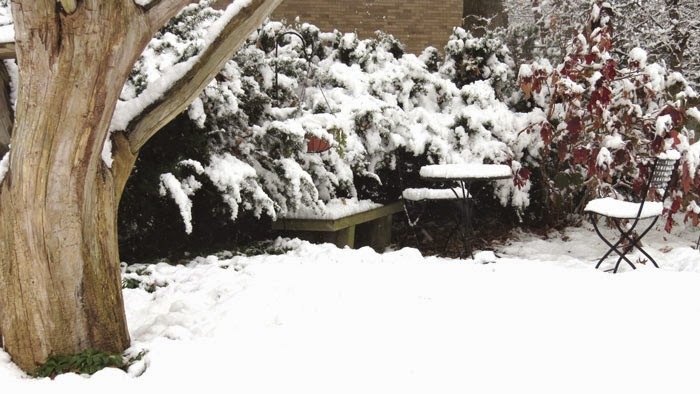 Again I was inspired by the challenges at Merry Monday and Simon Says. 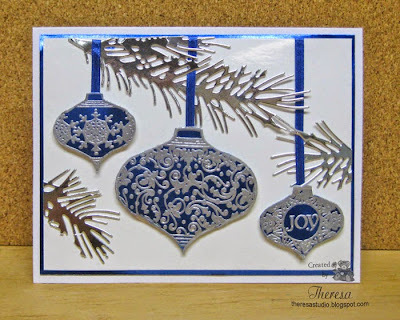 I featured only one ornament stamped with Versamark and heat embossed with Zing Silver EP on DCWV Blue Foil CS. Stamps are from Spellbinders Heirloom Ornament set. 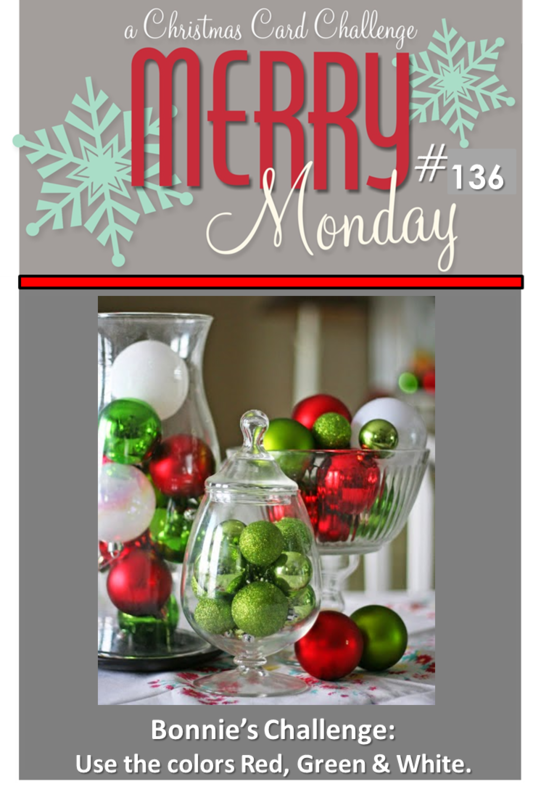 I cut out the Ornament and attached to a White Glossy CS embossed with Cuttlebug Forest Branches. I added a Silver Pine Branch cut with Impression Obsession die and some Blue Ribbon. This was attached to a White Card Base and a mat of the Blue Foil CS. 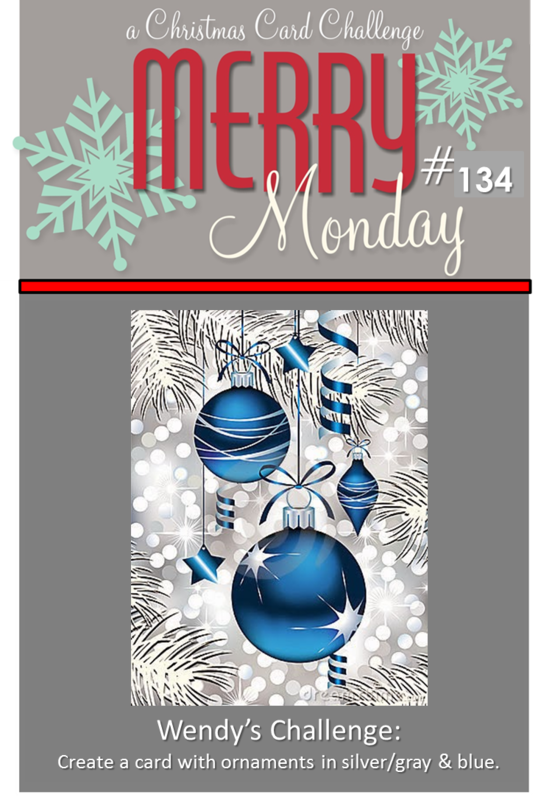 Merry Monday Christmas Challenge: #134 Create a card with Ornaments in silver/gray and blue. I am not sure if I can enter another card but will try. 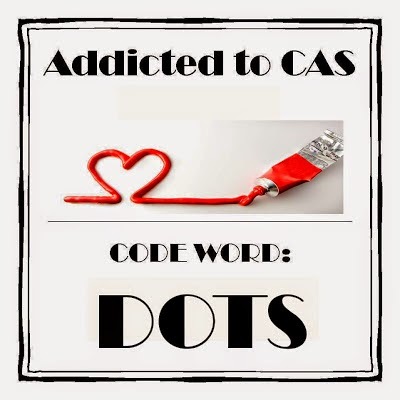 I am back with a second post today. 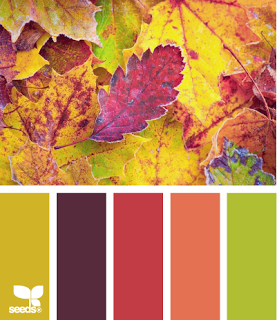 I made a Fall Thank you card using a couple of Meljens Digis with fall colors from her design team challenge. I printed the Pumpkin Pie Slice and Happy Fall verse on white CS and Colored with Copics and Silver Pen. I cut these with Nesties square dies and matted on Orange CS then a pattern Background from GKD pad and a Orange Card Base. Finished with 3 Brown Brads and Cameo cut "Thanks" in brown. Topped the pie slice with Liquid Pearls "whipping cream". 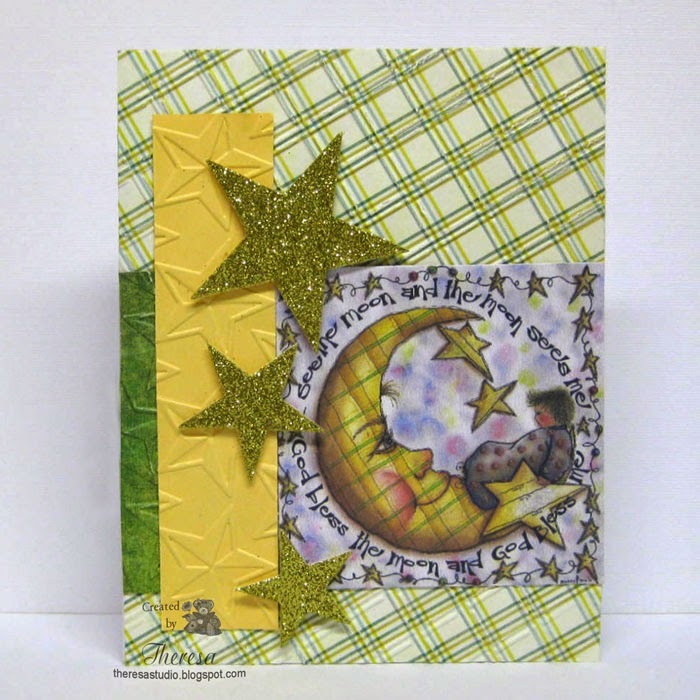 Meljens Design Team: Challenge Theme is August Brights. 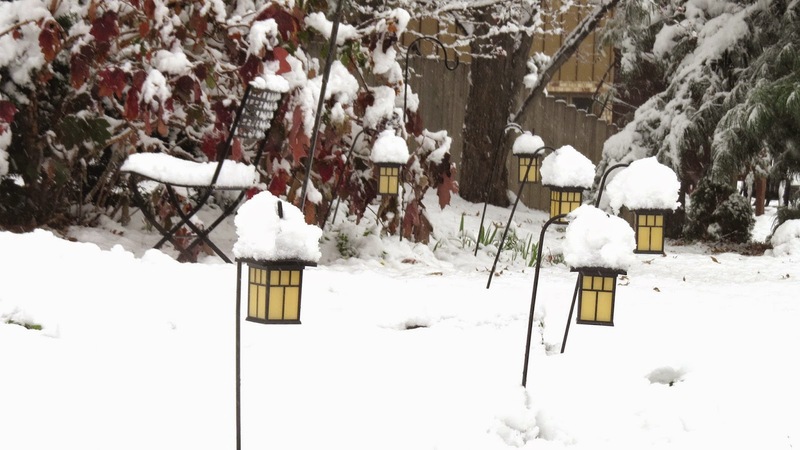 See graphic for colors on right. 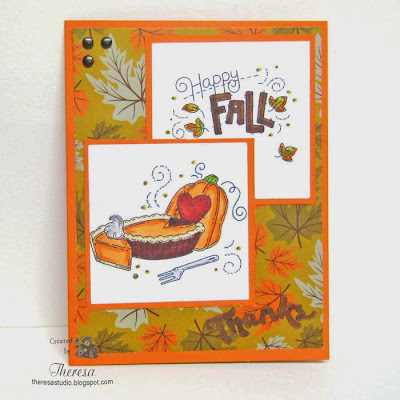 Tuesday Morning Sketches: Sketch #275 with a twist to use Pumpkins and Leaves. See sketch on right. Digi Sketch Challenge: Theme is Food. 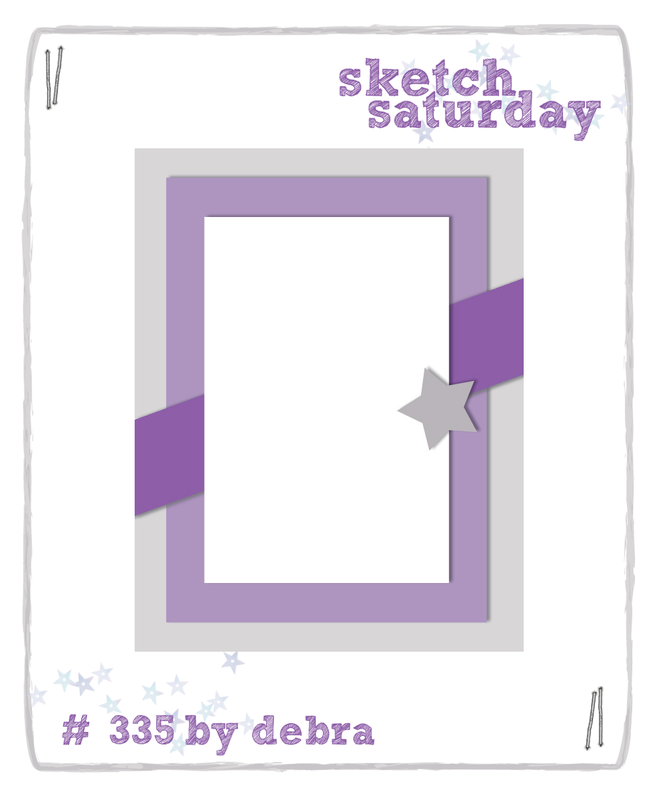 I only used the theme not the sketch for my card. Used Pumpkin pie digi. 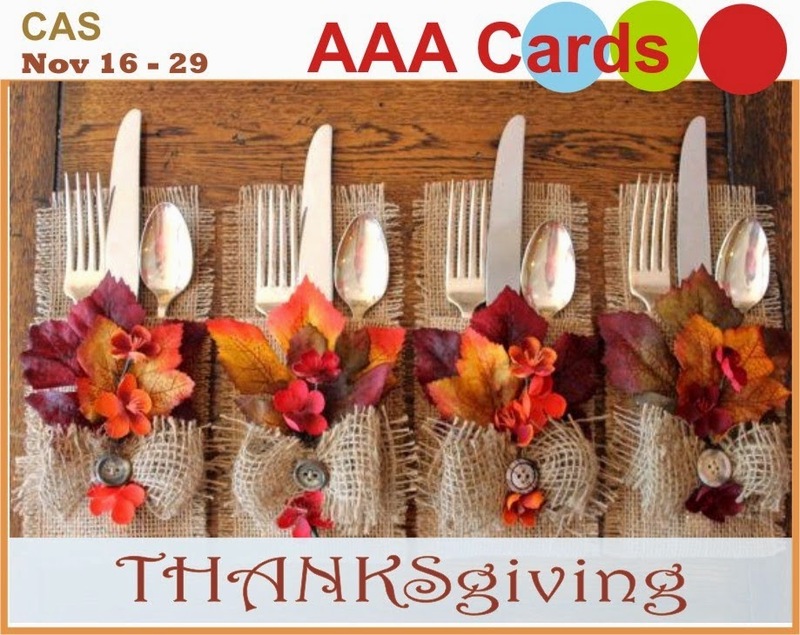 Fussy and Fancy Friday Challenge: Theme is Thankful. Hello! I was really inspired by the Merry Monday challenge this week. I immediately began my card by gathering Silver Metallic CS, DCWV Blue Foil CS, and Glossy White CS. I cut Pine branches with Impression Obsession die and stamped the Ornaments with Spellbinders Heirloom set using Versamark and Silver EP. I fussy cut the Ornaments and arranged all the elements on a White Card Base using Blue Satin Ribbon to hang the ornaments attached with Pop-Up Dots. 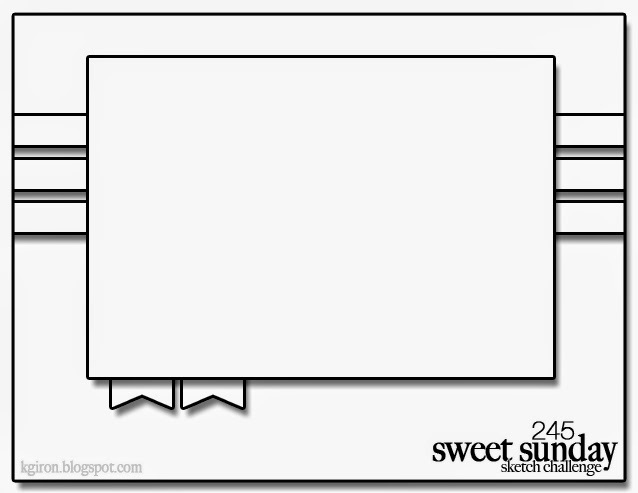 My DH helped me decide the layout. I love the shine and sparkle of my card. 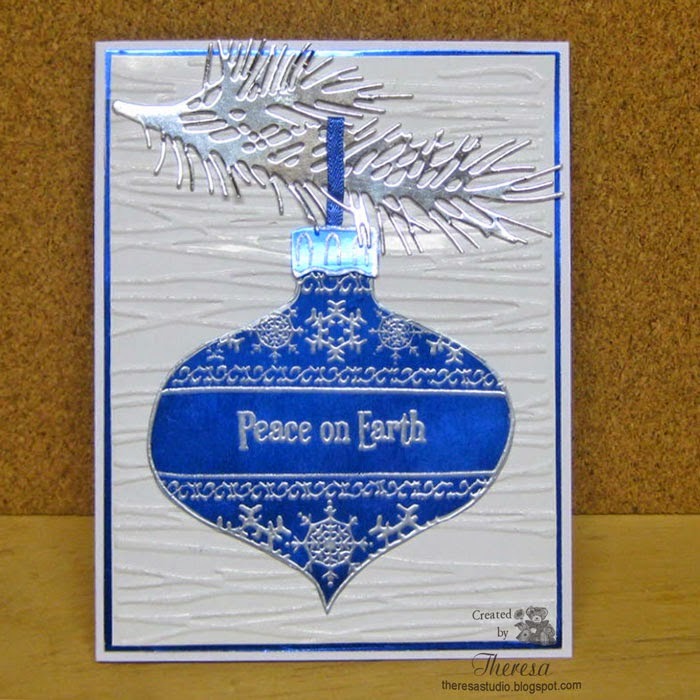 Merry Monday Christmas Challenge: Wendy asked us to create a Christmas card with ornaments in silver/gray & blue. 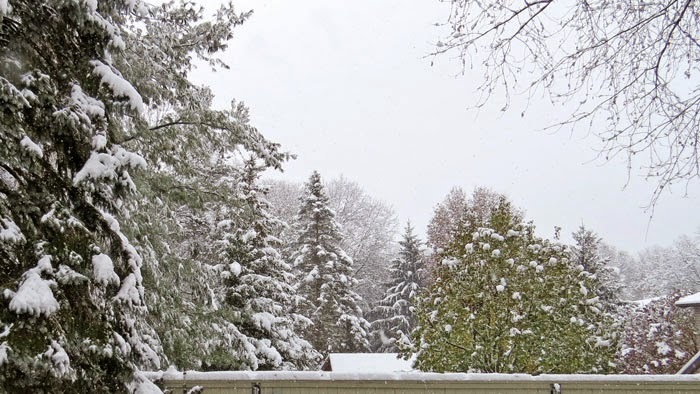 Creative Corner Challenge: It's beginning to look like Christmas. 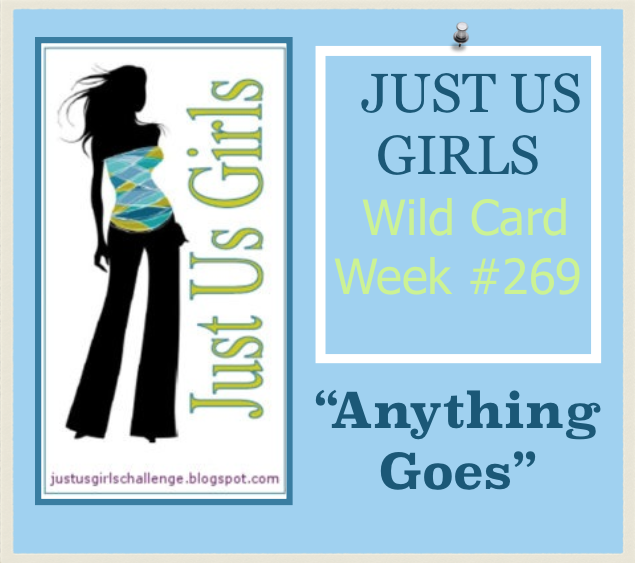 Clear It Out Challenge: Theme-Anything Goes. Stash -Use 3 of the same thing. I used 3 ribbons, 3 ornaments. Stay tune for another Blue and Silver card. Is The Doily Stamped or Hand Knit? 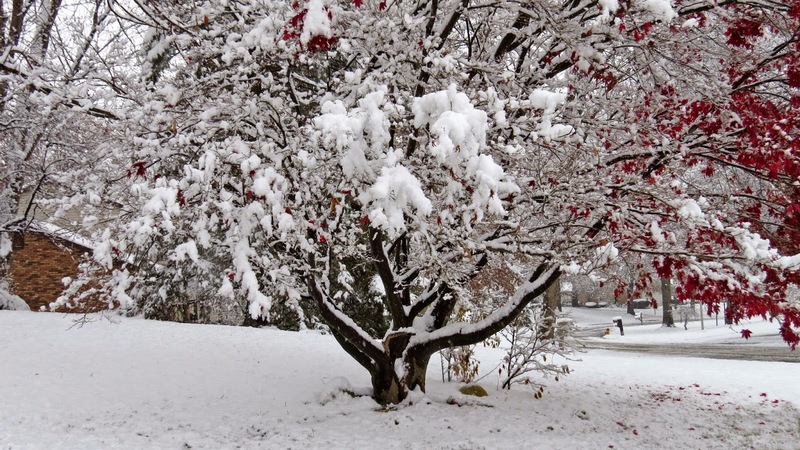 I hope you are having a great weekend. This is my second post today. I wanted to get this card posted for a couple of challenges that are closing soon. I used a Doily stamp from Gina K Designs that I love from Nana's Needlwork set by Nina.... it stamps so beautifully, especially when using heat embossing, and even the doily looks like it's hand knitted on the card and in the photo. I knew that I wanted to use this stamp when I first read the Mod Squad challenge for us to use a doily last Wednesday and it also fits into a challenge at Stamp TV. 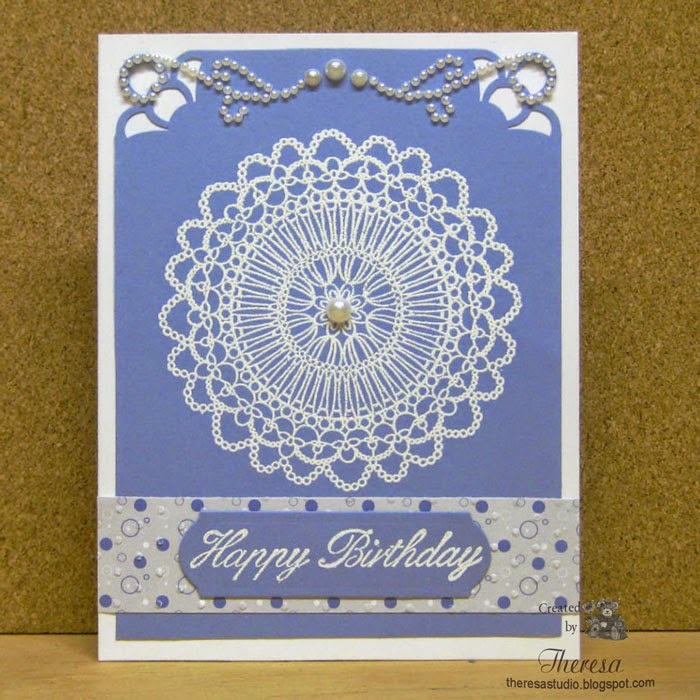 I decided to really focus on this lovely Doily image and to highlight with Little Blue Boy Blue CS from GKD. 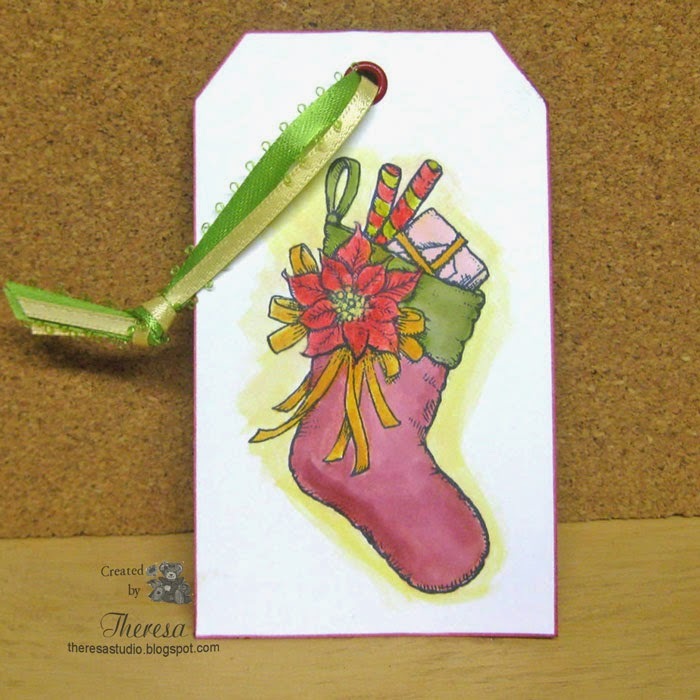 I stamped using Versamark and heat embossed with Ranger Seafoam White EP. I hope you can see the beautiful details of the doily design and wish you could feel the wonderful texture. You will just have to really trust me on how great it is in real life! 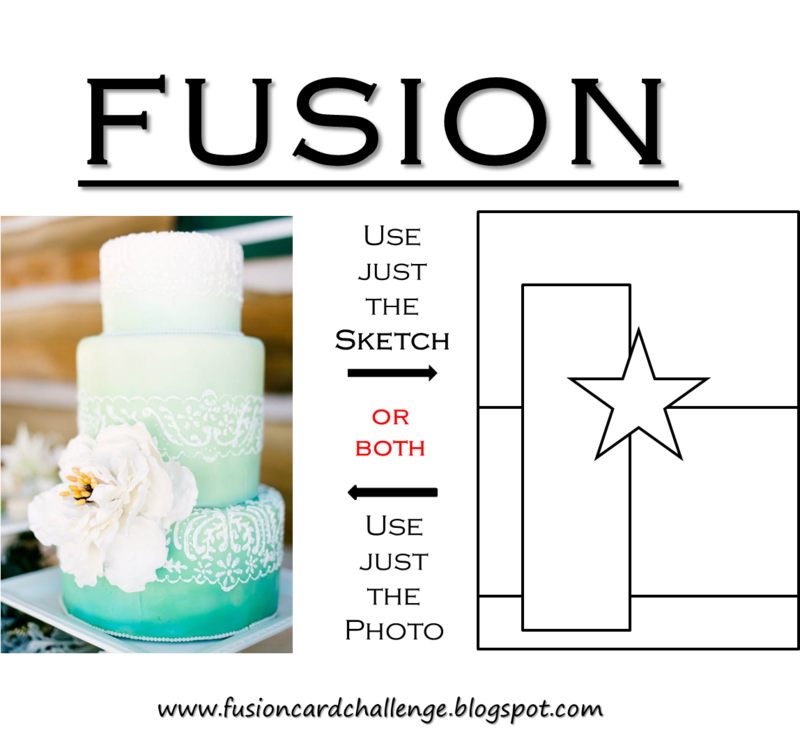 I spent time trying to get my design just right....even called in my DH as a consultant for his opinions. 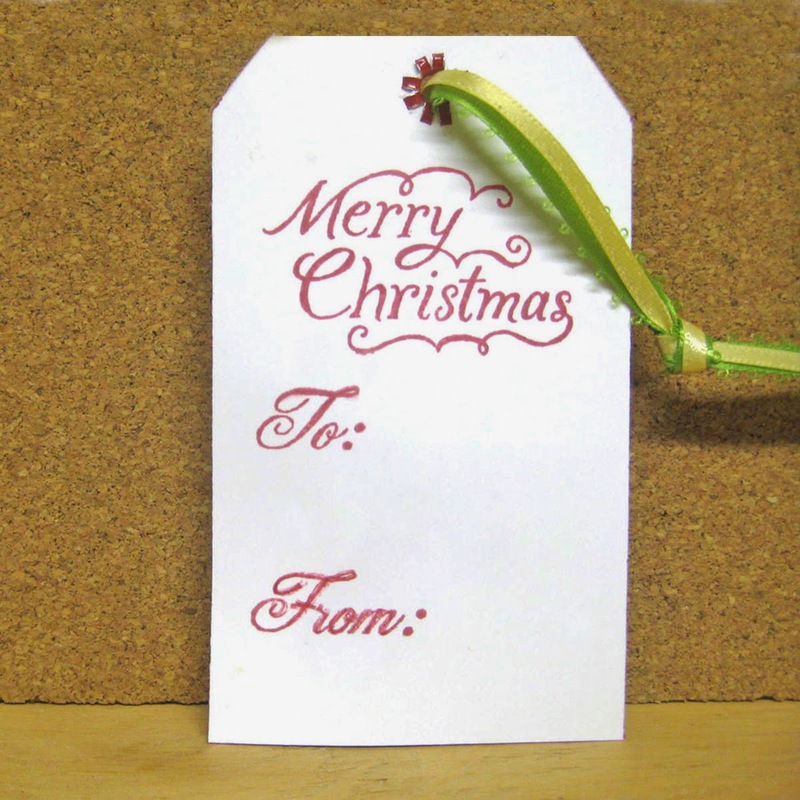 I tried ribbon under the sentiment but the embossed pattern paper from GKD won out. 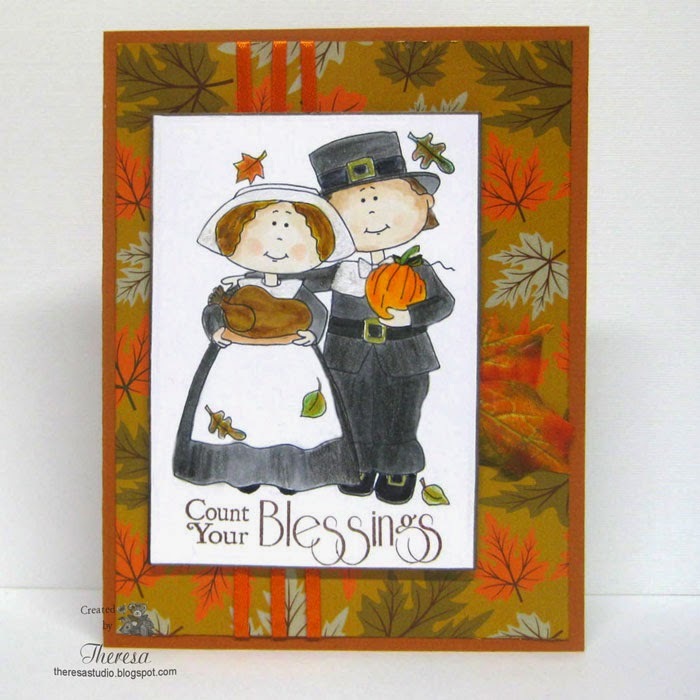 It matched the color perfectly and seemed to go well underneath the embossed sentiment from GKD Inside and Out Set. I thought this card screamed out for pearls and I decided to use a ZVA Creations Pearl Flourish that I have hoarded for a very long time. I place it along the upper edge of the card that I punched with Martha Stewart Double Loop Corner Punch. I finished the center in the doily with a single Pearl.....which is my most fave gem. 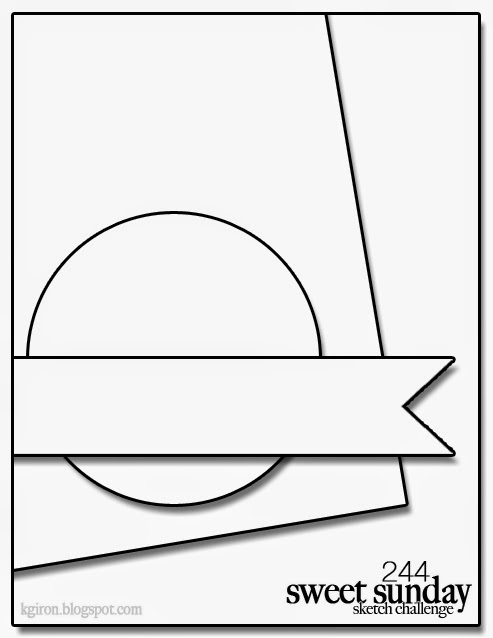 By the way, the card base is White Glossy CS which I think even adds more to an elegant feel. 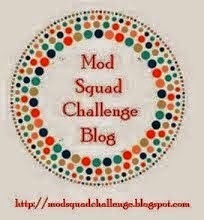 Mod Squad Challenge Blog: Grandma's Attic...use a doily in some way on your card. 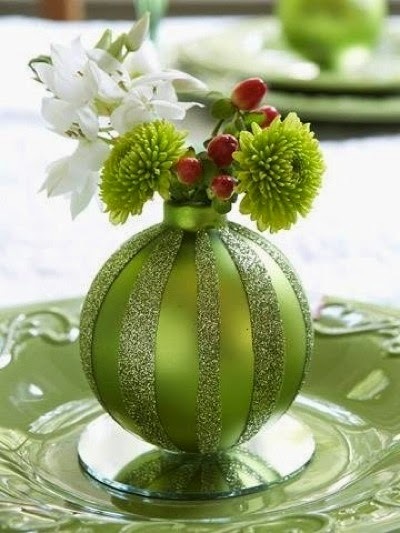 I chose to make the Doily the center of attention. 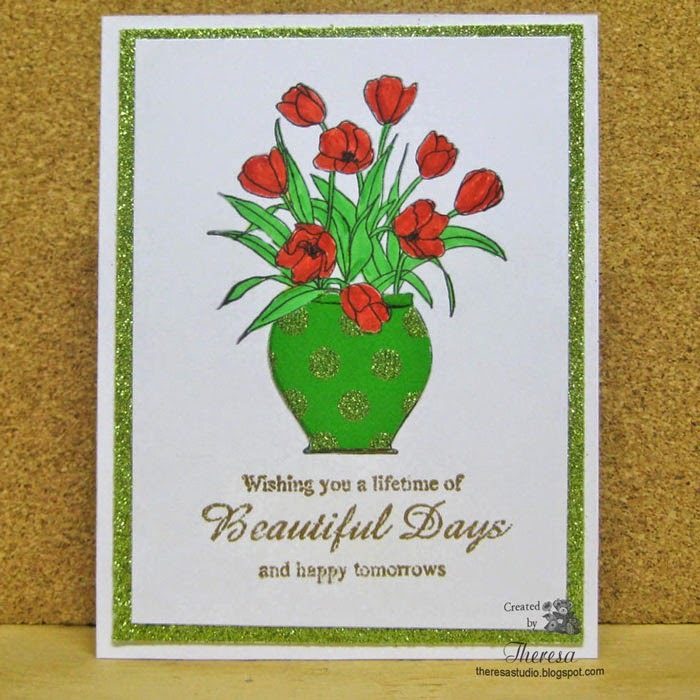 Stamp TV: Mix It Up Monday Challenge-Karen's Challenge is to use a set from the past. I used 2010 Nana's Needlework and 2010 Inside and Out.